DELREY METALS CORP. (CSE:DLRY, FSE:1OZ, US: DLRYF) announced the signing of a non-binding term sheet to acquire an 80% Interest in certain mineral licenses in the Four Corners Project from Four Corners Mining Corporation / Triple Nine Resources Ltd., and to establish a Joint Venture. On Delrey’s website it says the Project, “conservatively represents a potential target of > 2 billion tonnes.” That’s based on known dimensions and an estimated specific gravity. To be clear, these figures are historic in nature and not compliant with current NI 43-101 standards. 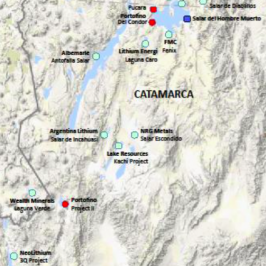 Drilling this year will seek to validate the potential large scale of the deposit. There’s also Platinum, Palladium, Gold & Copper potential, but management is focused on the vanadium (and associated Titanium + Iron) at this time. This is a transformational transaction for Delrey Metals Corp., a tremendous opportunity. 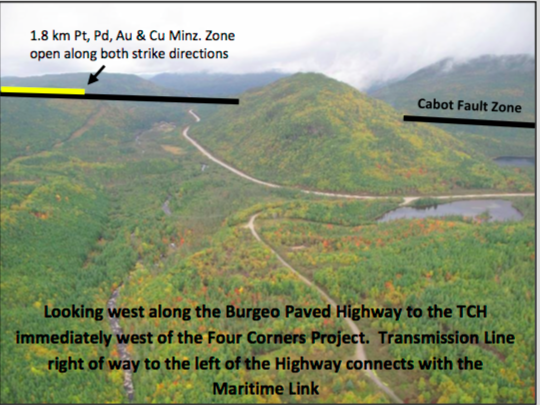 A giant, bulk tonnage Project in a great jurisdiction, Newfoundland and Labrador, with world-class supporting infrastructure. The press release notes low exploration & development costs, with no need for helicopter or camp support, and a rebate of up to C$150,000/yr. of Exploration Expenditures from the government under the Junior Exploration Assistance Program. Management believes there’s excellent community relations with strong support for the development of the Project. 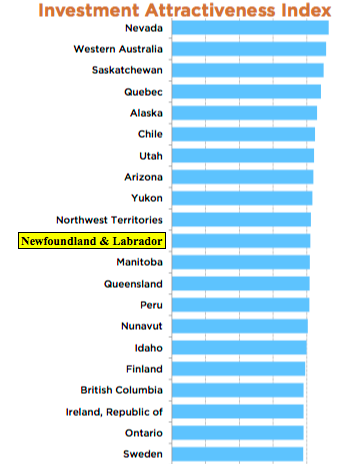 Newfoundland and Labrador is consistently ranked as a top global mining jurisdiction by the Fraser Institute, this year ranking in the top eighth of 84 locations. There is strong drill-defined vanadium mineralization at the Keating Hill Zone, with a potential strike length in excess of 4.5 km. Drilling is planned to add to the dimensions of the known vanadium mineralization, test 4 new, large target zones, and better establish the degree of continuity of mineralization in the Four Corners project. Importantly, work in 2012 by global firm SRK Consulting (US) Inc. demonstrated positive vanadium recoveries of 90% from preliminary metallurgical tests. At spot prices of US$15.90/lb., 0.30% V205 has an in-situ value of ~C$105/tonne. The average V205 grade has not been determined, but to be conservative, I’m assuming that it’s lower than 0.30%. At 0.20% V205 the in-situ value would be ~C$70/tonne, an attractive figure for bulk tonnage deposits, without even taking into account the potential for Titanium & Iron credits. 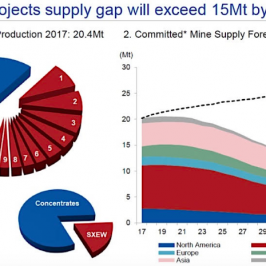 An exciting aspect of the Four Corners project potentially hosting > 2 billion of tonnes of ore is the possibility of using a high cut-off grade, on a lower-grade deposit, and ending up with a substantial number of tonnes/pounds of V205 at an attractive grade. Not discussed in the press release is the considerable prospective value of the Titanium & Iron as co-products / by-products. When vanadium prices were at US$2-US$3/lb. 3 years ago, Titanium was probably the primary metal of interest. The Keating Hill East magnetic anomaly was mapped by the Geological Survey of Canada as at least ~4,500 m in length, with widths of ~400 m to ~1,100 m, and extending from surface to at least 590 m in depth. The project is open at depth. In my opinion, the depth & extensive strike length make this a giant potential V205 deposit, not to mention Titanium & Iron. An airborne EM survey conducted in 2011 added to the scope of the Project. It found 4 new targets, increasing the potentially mineralized strike length to > 12 km. Surface sampling confirmed the same style of mineralization found at Keating Hill East across the other anomalies. SRK completed preliminary magnetic characterization work which returned encouraging metallurgical results. Concentrate samples came in with a good grade for a bulk tonnage Project of 0.643% V205 and initial runs produced a concentrate with an impressive > 90% recovery of vanadium. Recoveries, strip ratio and large scale are 3 of the most important factors in bulk tonnage mining operations. I’m assuming that the metallurgical test work performed by SRK will be treated as historical information and be repeated and expanded upon by Delrey Metals. 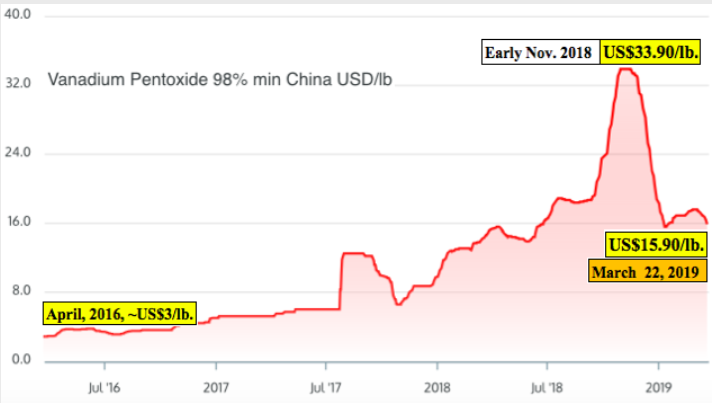 As mentioned in the quote by Delrey Metals’ CEO Morgan Good, vanadium use in Vanadium Redox Flow Batteries (“VRFBs“) is set to soar, with China leading the way. VRFBs have several attributes that make them superior to Li-ion batteries for grid-scale energy storage applications. VRFBs are expected to last 2x-4x longer than Li-ion batteries, up to 25 years, and can charge / discharge at the same time. And, they are easier to scale up once deployed, all that’s needed are larger tanks to hold the liquid vanadium-bearing electrolyte. While both Li-ion & VRFBs will be used in coming decades, there’s enough demand for both to move the needle for vanadium within the next 3-5 years. In the meantime, 90% of vanadium is used to strengthen and lighten steel for infrastructure projects like skyscrapers, bridges, tunnels, housing, subway systems, highways, etc. Two pounds of vanadium doubles the strength of a ton of steel. Importantly, vanadium-strengthened steel is also needed to rebuild all of those things, and more, due to aging and natural disasters. Most of the world’s vanadium, up to 85%, comes from 3 countries, China, Russia & South Africa. None of these countries are highly ranked by the Fraser Institute Mining Survey! China & Russia have proven that they will use energy, rare earths and other commodities as financial weapons in trade or geopolitical disputes. That’s why vanadium has been named a, “critical mineral” in the U.S. and in many other countries. Long-term, secure vanadium supply from Canada (or the U.S.) would be highly sought after. Delrey Metals Corp.’s (CSE:DLRY, FSE:1OZ, US: DLRYF) management team has looked, and continues to look, all over the world for high-quality battery metal properties / projects to add to their growing portfolio. 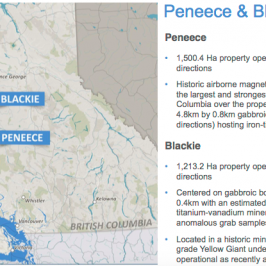 They keep coming back to Canada, a safe, mining-friendly jurisdiction with good infrastructure, an experienced workforce and readily available world-class mining equipment & services. 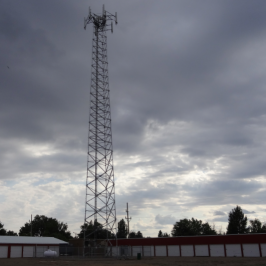 The Four Corners Project has the scale to be a company-maker for Delrey Metals, and the team has prudently structured the transaction as a 4-yr. earn-in to minimize upfront costs. If drilling this year were to increase the probability of this Project hosting a very large deposit of say 0.15% – 0.25% V205, with possibly large quantities of exploitable Titanium & Iron, that could really attract the attention of investors. It could also attract the attention of strategic & financial / off-take partners. 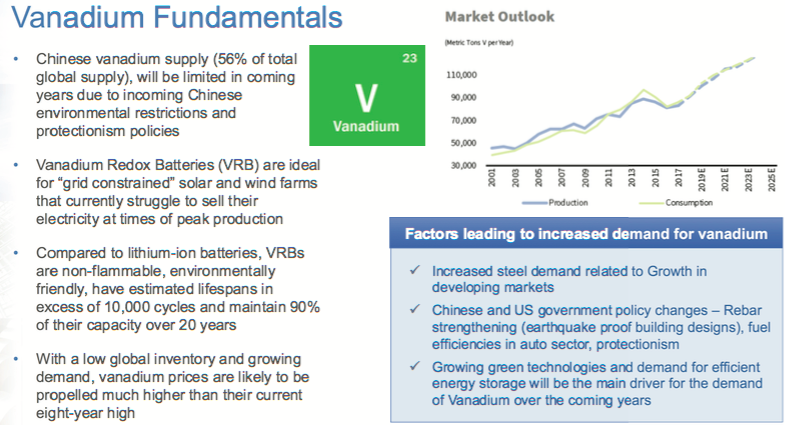 A company like Glencore plc comes to mind, active in Canada and in multiple metals, why not vanadium? But, I’m getting ahead of myself. Let’s wait and see what drilling this year reveals. 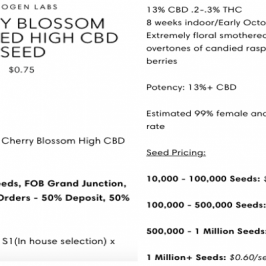 Disclosures: The content of this article is for information only. Readers fully understand and agree that nothing contained herein, written by Peter Epstein of Epstein Research [ER], (together, [ER]) about Delrey Metals, including but not limited to, commentary, opinions, views, assumptions, reported facts, calculations, etc. is not to be considered implicit or explicit investment advice. Nothing co-ntained herein is a recommendation or solicitation to buy or sell any security. [ER] is not responsible under any circumstances for investment actions taken by the reader. [ER] has never been, and is not currently, a registered or licensed financial advisor or broker/dealer, investment advisor, stockbroker, trader, money manager, compliance or legal officer, and does not perform market making activities. [ER] is not directly employed by any company, group, organization, party or person. The shares of Delrey Metals are highly speculative, not suitable for all investors. Readers understand and agree that investments in small cap stocks can result in a 100% loss of invested funds. It is assumed and agreed upon by readers that they will consult with their own licensed or registered financial advisors before making any investment decisions. At the time this article was posted, Peter Epstein owned no shares of Delrey Metals and the Company was an advertiser on [ER]. Readers understand and agree that they must conduct their own due diligence above and beyond reading this article. While the author believes he’s diligent in screening out companies that, for any reasons whatsoever, are unattractive investment opportunities, he cannot guarantee that his efforts will (or have been) successful. [ER] is not responsible for any perceived, or actual, errors including, but not limited to, commentary, opinions, views, assumptions, reported facts & financial calculations, or for the completeness of this article or future content. [ER] is not expected or required to subsequently follow or cover events & news, or write about any particular company or topic. [ER] is not an expert in any company, industry sector or investment topic.